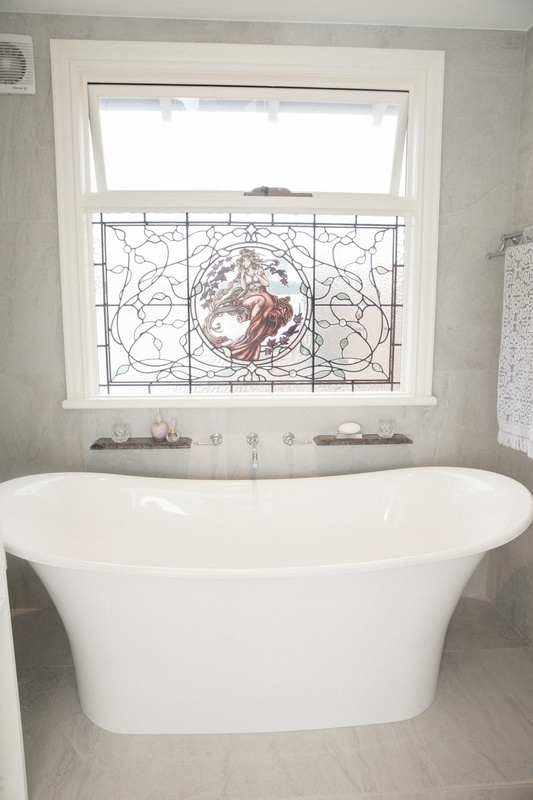 Bathroom windows often need special consideration. After all it’s difficult to relax in a leisurely bath if you’re wondering whether the neighbours are taking a peek! 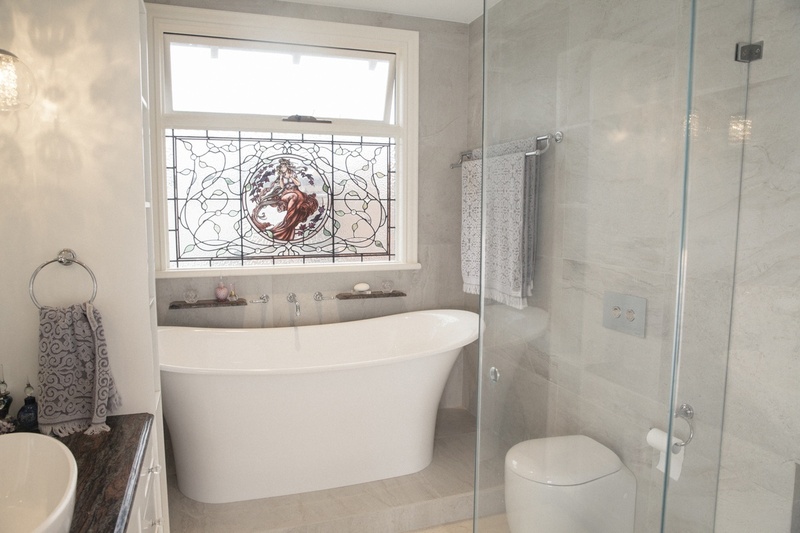 This gorgeous stained glass window by Perth glass artisans Tradition Stained Glass, not only provides a peek proof solution but has become the central feature of this beautiful new bathroom. Commissioned by a Sydney client, for her Mosman home, the brief was to create a unique custom made design to suit both the space and her individual taste. The medallion in the centre of the window was painstakingly hand painted in authentic traditional kiln fired stained glass techniques. The window is comprised not only of many, hand-cut individual pieces of glass but also custom Swarovski faceted jewels and handmade bevels. 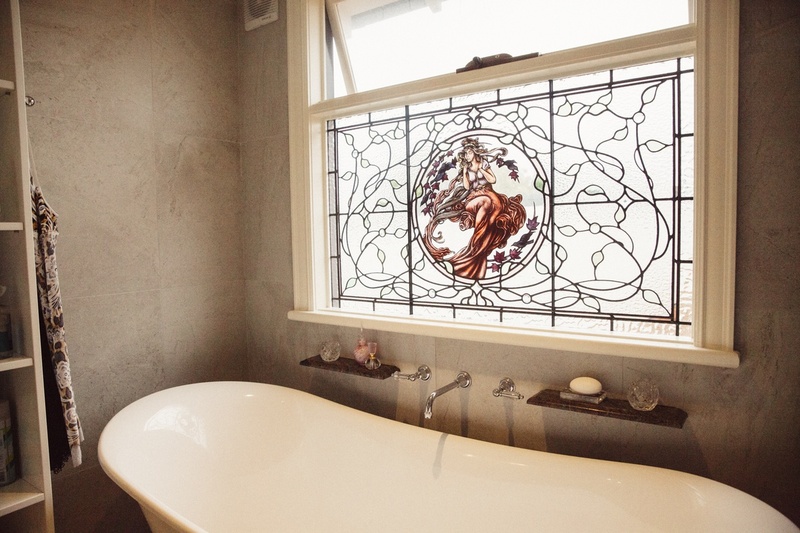 The glass used in the window was sourced from all over the globe including German mouth blown antique glass, American Flemish and English Muffell textured glass. Despite being on opposite sides of the country the distance created no obstacle. 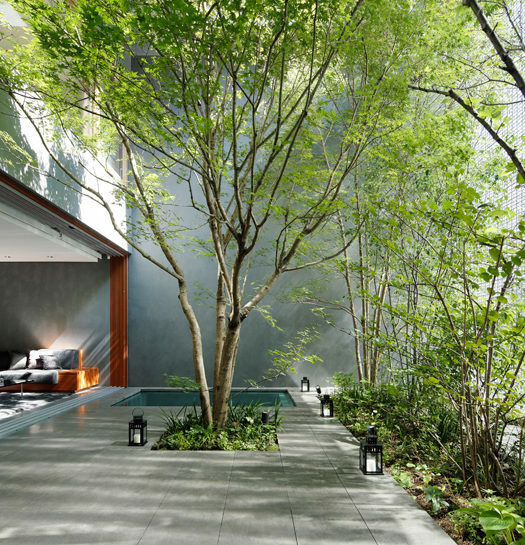 “We liaised with the client via email regarding design and on completion we carefully wrapped and crated the piece to Sydney and coordinated the installation” Said TSG Director, Kim Fitzpatrick. 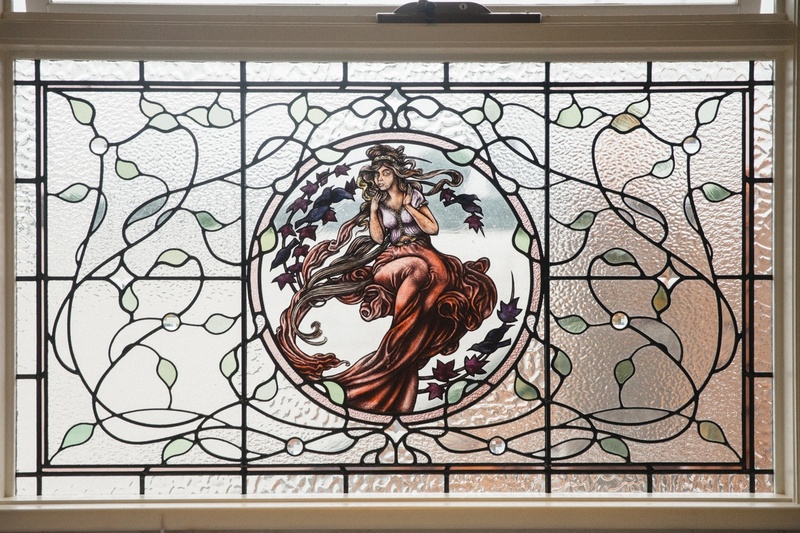 This stunning window represents many hours of work by skilled artisans and is a classic example of the exceptional craftsmanship at Tradition Stained Glass. 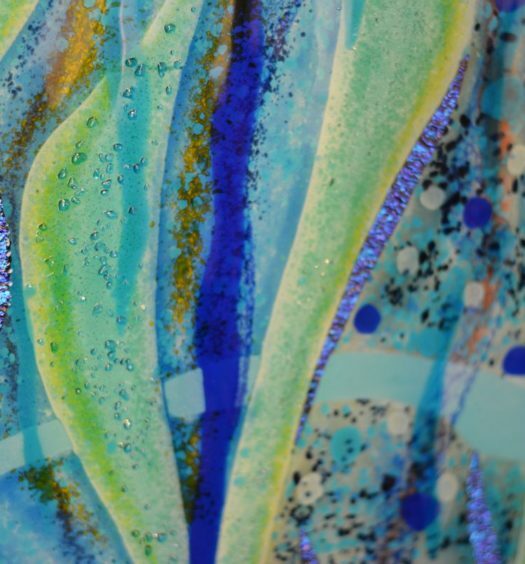 Tradition Stained Glass also creates contemporary glass art using fused glass techniques and have works in the National Gallery of Australia. Their work has been commissioned by many public buildings including Parliament House in Western Australia. 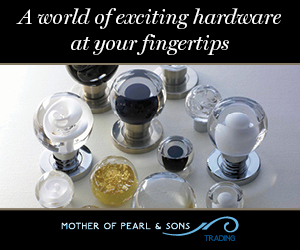 These custom works of art are investment pieces, family heirlooms that can be passed on to future generations and become a part of your own personal family story.